Kick off the holiday season early in Sturgeon Bay during the annual Christmas by the Bay event happening November 16-18. Enjoy live holiday music provided by Hervy Hodges, Josh Gregory, and Michael Raye beginning at 6pm on Friday, November 16 at Community Foundation Square (222 N. 3rd Ave.). 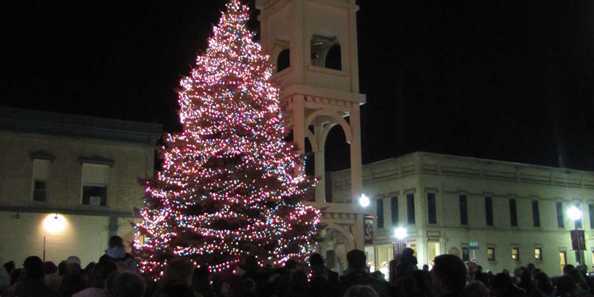 At 7pm, Mayor Birmingham will lead the tree lighting ceremony countdown. Live music will be conclude at 8pm. From 6-8pm, free horse-drawn wagon rides will be available (sponsored by Door County Eye Associates and Sherry’s Hallmark Shop). The pick up location is Door County Eye Associates. During Friday evening’s festivities, stroll throughout Sturgeon Bay to enjoy several holiday open houses in stores for special deals, snacks, and beverages. Listen to the Sturgeon Bay High School City Rhythm Show Choir spread holiday cheer along Third Avenue Friday evening. The fun continues Saturday, November 17 starting with the holiday parade at 10am. 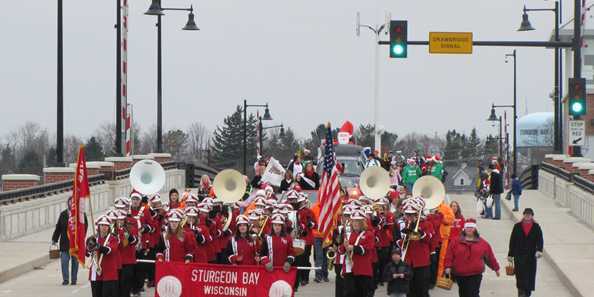 Line up along the streets of Sturgeon Bay and have a holly jolly good time cheering the floats pass by. Wave to Santa as he rides by on his sleigh. The holiday festivities continue 11am-2pm at the Door County Historical Museum where kids of all ages and families can get their picture taken with Santa. After getting your picture taken with Santa, hop on a Door County trolley (sponsored by Door County Medical Center) for a free ride around town or a horse-drawn wagon ride. Pick up location is at Door County Eye Associates. The weekend comes to a close during breakfast with Santa at Stone Harbor Resort on Sunday, November 18 from 9-11am (for reservations please call 920-746-0700). Sturgeon Bay is an easy ride along Highways 42 or 57 from the rest of Wisconsin. Check out all sights in town and as much of the rest of the Door Peninsula as possible when you go!